This 43-page student workbook was created to supplement the Summer Energy Education Program offered by the Northern Wyoming Community College District from 2010 through 2012. The program was designed to serve teachers and educators in northeastern Wyoming who have an interest in math and science with hands-on activities and lessons in energy. 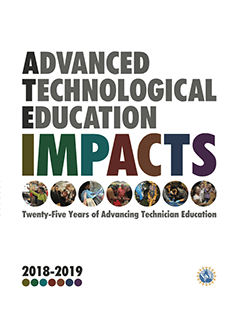 The 2012 workbook is intended to "engage interested middle school students—those entering grades 7 and 8—with energy-related science experiences." It includes fact sheets, guided activities, and worksheets on topics like electricity and magnetism, human power, solar power, wind power, and more. For more archived resources by the Energy Technician Education Project, visit the ATE Central Archive. This collection of short lesson plans from AgrowKnowledge: The National Center for Agriscience & Technology Education introduces students to a variety of concepts. In the first, Measurement Activity Lesson Plan, students learn the importance of measurement and how to read a ruler. The activity in the lesson plan Every Plant for Itself is intended to strengthen students’ knowledge of the key requirements of plants, demonstrate plant survival, and to explain how herbicides eliminate competition for key resources by weeds. Finally, the Geocaching GPS Lab Exercise covers concepts of the game geocaching. "Upon completion of this activity students will be able to explain the concepts of geocaching and be able to find an unknown position using a Garmin 12 GPS unit." For more archived resources by AgrowKnowledge, visit the ATE Central Archive. This activity from the Florida Advanced Technological Education (FLATE) Center uses the example of goods manufactured in the state of Florida to explore the variety of manufacturing industries active in the United States. After completing the activity, students should be able to "understand the importance of the manufacturing process and the careers involved in the modern manufacturing process." The activity plan includes a list of materials needed, objectives, a step-by-step description of the activity, and an evaluation section. A student handout is also included. For more archived resources by the FLATE Center, visit the ATE Central Archive.